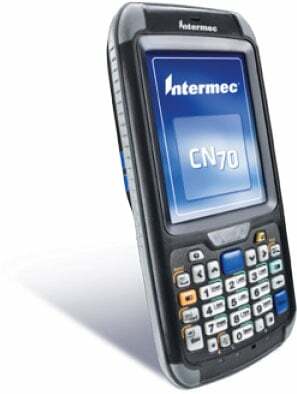 The Intermec 70 Series RFID is the no-compromise, next generation family of ultra-rugged mobile computers that adds passive UHF reading to the already impressive feature set of 70 Series mobile computers. These devices combine advanced RFID reading and a no-compromise design with best-in-class ruggedness, battery life, and ergonomics. Intelligently designed into three different form factors, the CN70 RFID, CN70e RFID, and CK70 RFID are fully integrated mobile computer platforms that meet or exceed typical handheld RFID read range requirements in a design that is more compact and comfortable to use than competing devices. For more information or to order a 70 Series RFID device, contact us at BarcodesInc. Intermec’s popular trade-in program has just been extended through the end of the year! Trade in a competitive or Intermec pre-owned thermal printer and receive a rebate up to $525 off the purchase of a new Intermec printer. Trade in an Intermec 3400/3440 series printer and receive up to an additional $100 bonus rebate on the purchase of a new Intermec PM43/PM43c series printer, resulting in a total savings of $400! For those looking to upgrade to the industry’s most rugged, reliable and smart printing solution—the time has never been better. Take your savings even further by adding Genuine Intermec Media and Services! Making integrated barcode labeling even easier, Intermec Direct Protocol printers are now certified through the SAP Printer Vendor program with Intermec device types for SAP Smart Forms and mySAP Business Suite. From industrial and commercial class printers, to rugged mobile printers for the warehouse, and desktop printers for shipping and back office applications, Intermec offers the broadest integrated printing support for SAP. Given the wide range of applications that mobile computers get used in, ruggedness is a primary concern when choosing a unit that will last over time. The reality of daily use in the warehouse or out in the field is that any device you use with eventually, if not regularly, get dropped to a variety of surfaces. Intermec has some of the most rugged mobile devices and their testing procedures cover the gamut of what a device might encounter. One of the key tests is the tumble test to simulate daily dropping and mishandling. As you can see from the video below, every Intermec device is thoroughly tumble tested to ensure they continue to function, without failure, even after repeated drops and abuse. For assistance finding the best Intermec device to meet the needs of your application, contact us at BarcodesInc. As an industry leader in barcode and RFID technologies, Intermec has been a trusted and reliable provider of Auto-ID Solutions for over 40 years. One field that has seen a increased adoption of these technologies is healthcare. With initiatives to go paperless and ensure more accurate care of patients, barcodes are the perfect technology to improve accuracy and efficiency. Intermec offers a full product line of printers, scanners, and mobile computers designed to compliment every step of the patient process from check-in to the administration of medication. For more information or help finding the right Intermec solution for your application, contact us at BarcodesInc. Intermec has been a leader in data capture technology for over 40 years now and provides scanning solutions for every business size and type. From batch collectors to 2D Imagers, they have a scanner to fit any application requirement. With a focus on reliability and high performance, you can always count on Intermec scanners. This infographic is a great overview of the current line of Intermec scanners and will help clarify the functionality and best use cases for each.